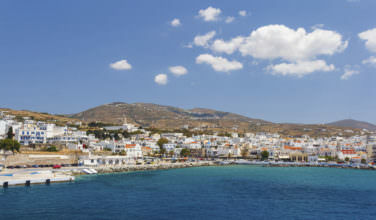 Naxos is one of those islands in the Cyclades that sees a fair amount of travelers, especially during peak season. 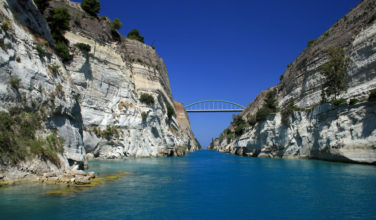 However, it is unique in that, although places like the main port at Chora do see a fair amount of visitors, it is relatively easy to find places to enjoy the island that are a little more isolated. Thus, this is an appealing island to visit for just about anyone. The Portara, also referred to as the Great Door, is a large marble doorway that is perched near the main port at Chora in its own islet named Palatia. 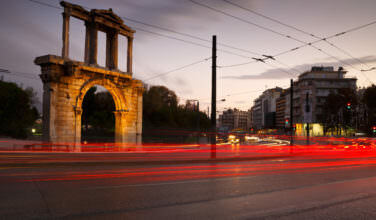 This area was once attached to the port by a small strip of land, but this hasn’t been the case since Ancient Greece. The islet itself has a rich mythological history that began with the Ancient Minoans. It was here that the Minoan Princess Ariadne was abandoned and also where Theseus fled to after he killed the Minotaur in the labyrinth on the island of Crete. People who arrive on Naxos for the first time often remark that the Portara is the first thing that they actually see. The history of the Portara is fairly well documented. It is said that in 530 B.C., the ruler of Naxos at the time, Lygdamis, had a goal to build one of the largest buildings in all of Greece. As a result, he ordered that a temple be built on the islet of Palatia. While construction of the temple was underway, Naxos entered into a war with the island of Samos. Because of the war, construction ceased. In fact, construction actually never started up again because Lygdamis was actually overthrown. All that was built at the time is all that remains now, a doorway known as the Portara. However, back when it was built, there were four columns and today, only three have survived. It is thought that the temple was to be dedicated to Apollo, which is why the area is often referred to as the Temple of Apollo. However, there are actually those who believe that it was actually going to be dedicated to Dionysius and not Apollo. 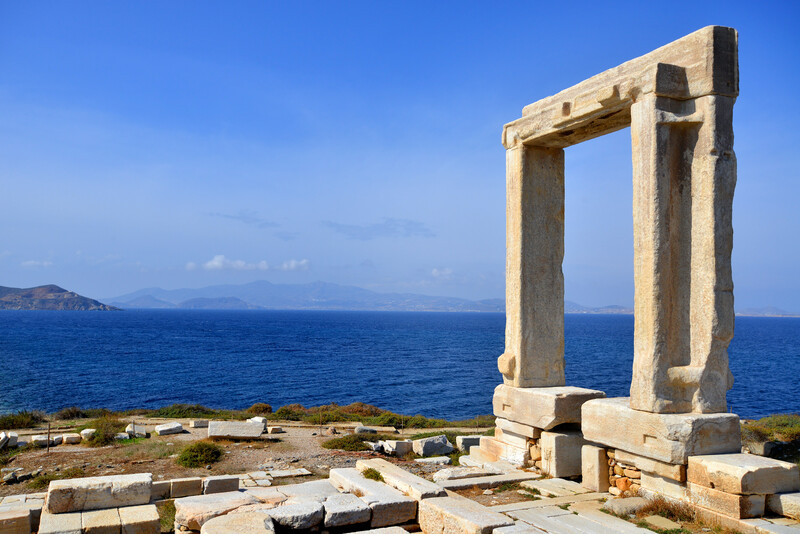 Snapping a photo of the Portara is a must while visiting Naxos and if possible, be sure to do it at sunset. Although the Portara is located on an islet, it is actually possible to visit it. There is a small path that connects this islet to the main port. 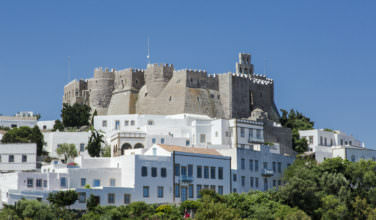 People who visit this historic site often report that it is one of their favorite places to visit on the whole island. While visiting the Greek island of Naxos in the Cyclades, you’ll want to visit the Portara on the islet of Palatia.